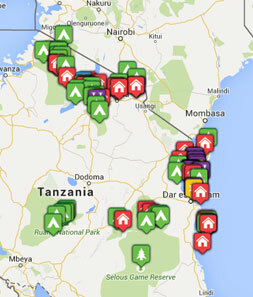 Why visit Lake Manyara National Park? This is a long thin park in northern Tanzania which is mainly taken up with a large shallow soda lake beloved of flamingos and many other bird species, though the strip of mainly forested land between the lake and the base of the Great Rift Valley escarpment is home to some great wildlife. The soda lake attracts masses of pink flamingos, plus around 400 other bird species including storks, pelicans, herons and a good number of raptors such as African fish eagles. 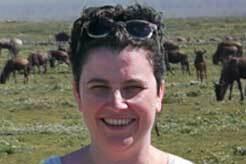 Manyara is known for its herds of elephants which you'll see readily at all times of the year. They are very used to vehicles so you could see them quite close. Tree-climbing lions can sometimes be spotted here (mostly in the less busy south of the park). Other wildlife you're very likely to see here includes hippos, zebras, giraffes, wildebeest, shy dik-dik and large troops of baboons. This is a year round destination. April and May are the rainiest, quietest and cheapest months, and July to October are the busiest months. Migratory birds are here from around November to April. Lake Manyara National Park Safari: How to do it? It's only about 1.5 hours drive from Arusha, and we generally recommend a stop here on your way out to the Serengeti or Ngorongoro Crater. After such impressive larger reserves, it could be seen as a little underwhelming and that would be a shame as it has its place and attraction. Most people just have a half day visit, so they only get to see the busier north of the park. Whilst this is still worth it, if you have time, stay the night in or near the park so you can get a full day here. This allows you to get much further south to the quieter area, which is also the area where the tree-climbing lions are mostly found. There are only a couple of lodges actually inside the park. Lake Manyara Tree Lodge is a top end lodge with gorgeous accommodation which, if you're willing to pay the high price, we'd recommend if you want a little more time in the park. Being further south than most of the day-visitors manage to come you'd get a quieter view of this pretty reserve, and it makes a nice place for a relaxed day or two. Alternatively there are various options around the park, and just above it on the escarpment. 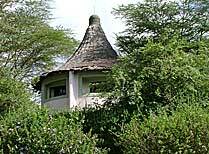 Kirurumu Manyara Tented Lodge is one of our favourites on the escarpment overlooking the park. 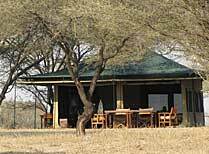 Located in a secluded spot outside Lake Manyara National Park against the Great Rift Valley Escarpment. 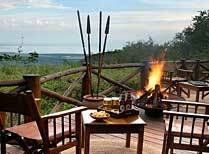 A lovely tented lodge with phenomenal views over Lake Manyara National Park. 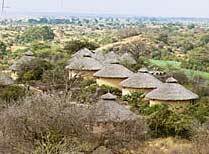 Lake Manyara Serena Safari Lodge has 54 circular, thatched ensuite rooms that echo the traditional Maasai 'Boma' style of construction. 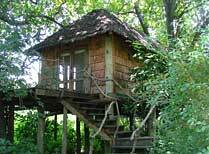 Lake Manyara Tree Lodge has ten tree houses built on stilts tucked away in the forest. 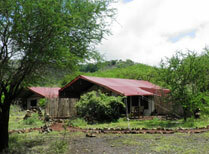 A private ranch in the Rift Valley at Lake Manyara with a wide range of activities.